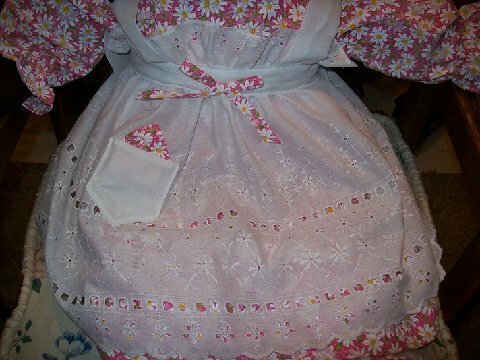 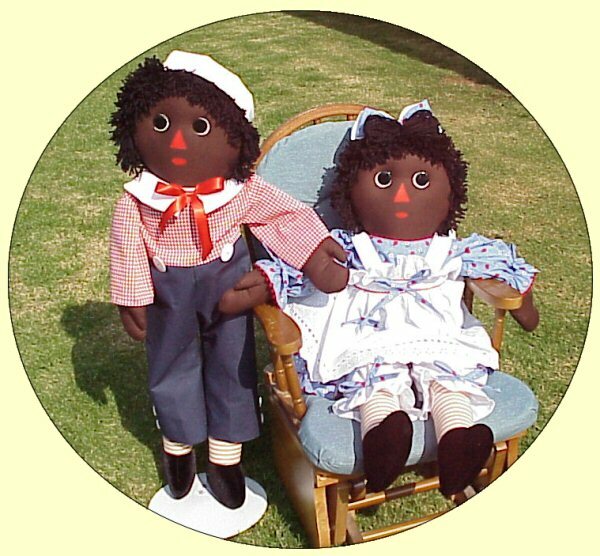 Then you can choose YOUR favorite "skin" tone, Facial Features, Hair color/style and your Favorite fabric to have your dolls made "SPECIAL"........JUST FOR YOU! 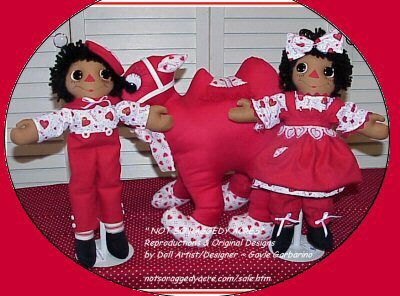 Please be sure to choose a couple of fabric choices, because some may have been discontinued by the manufacturer. 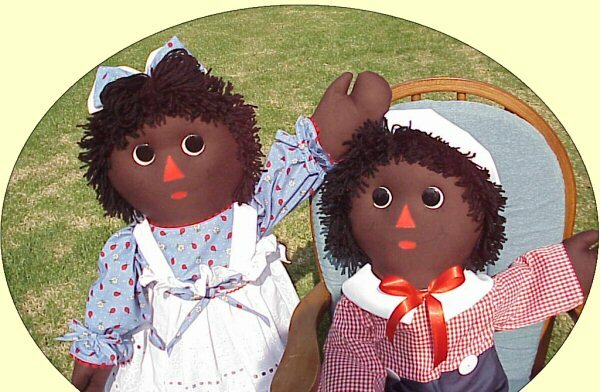 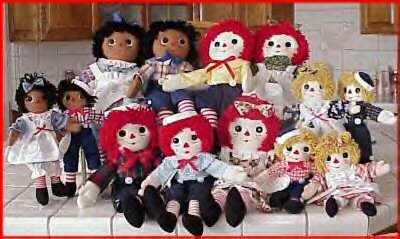 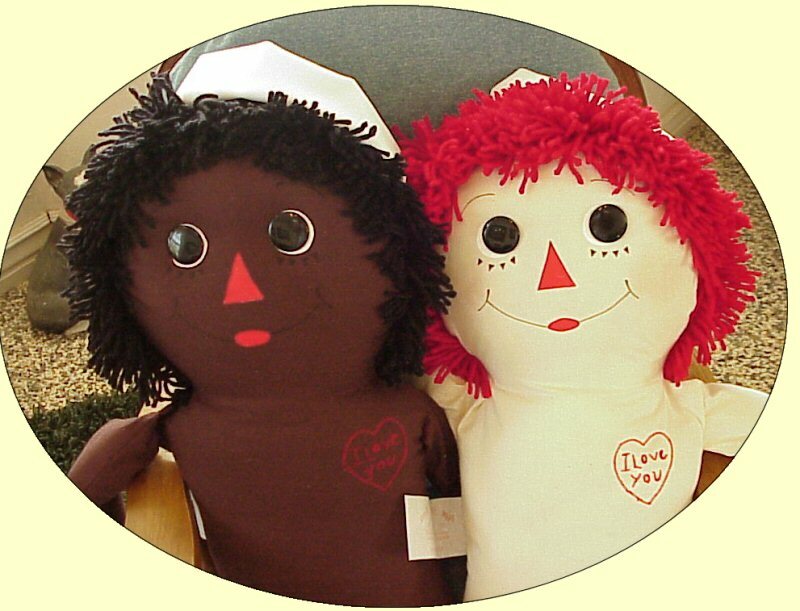 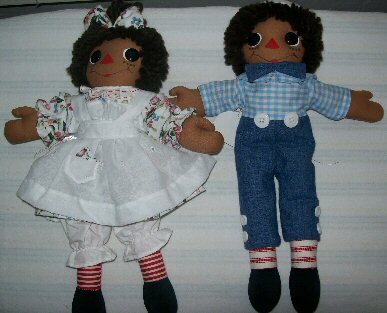 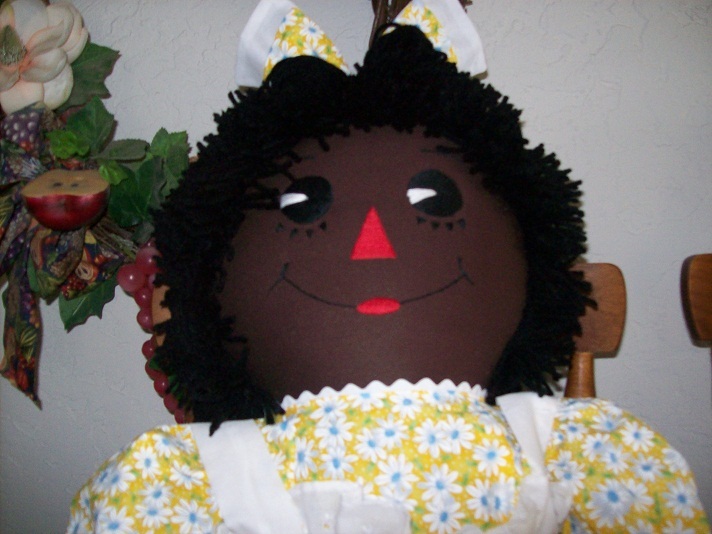 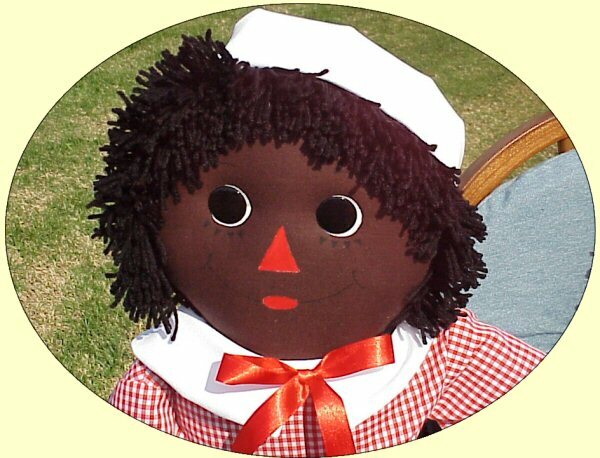 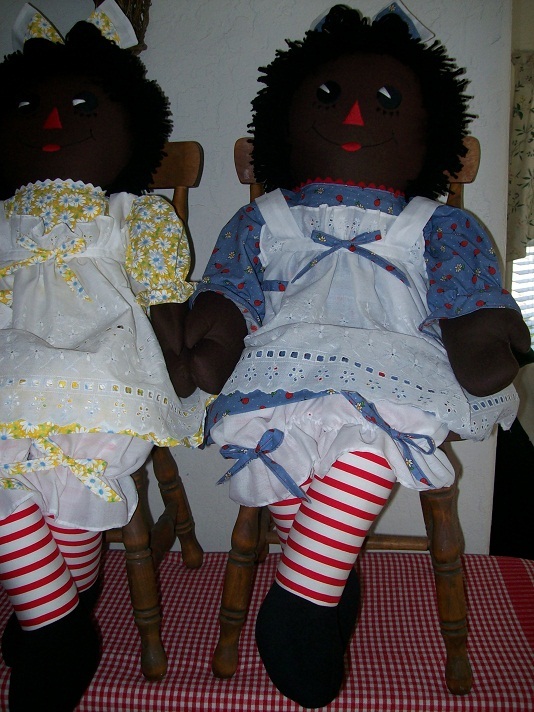 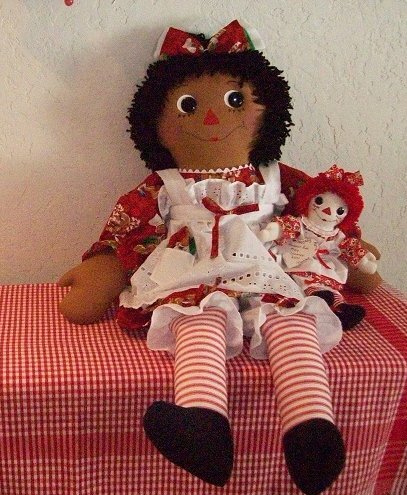 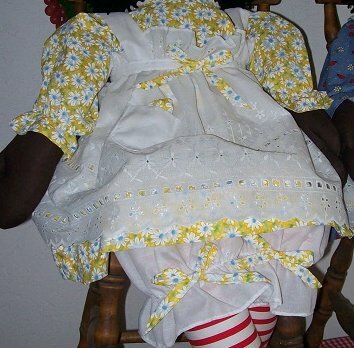 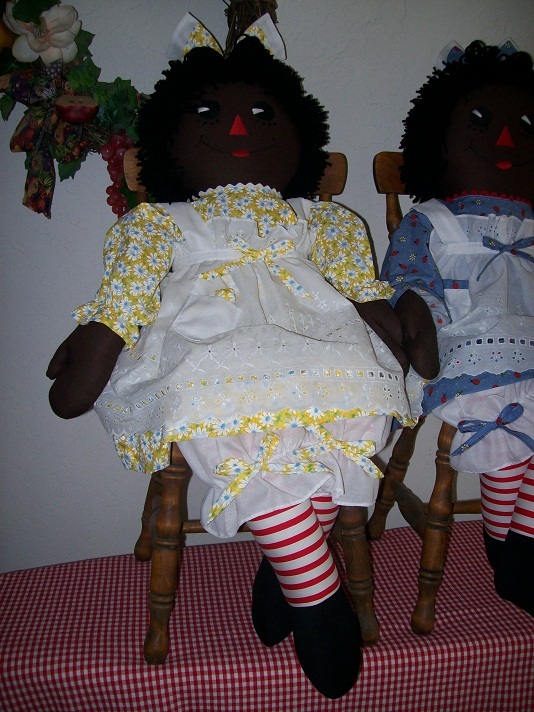 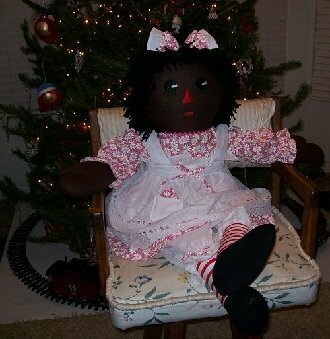 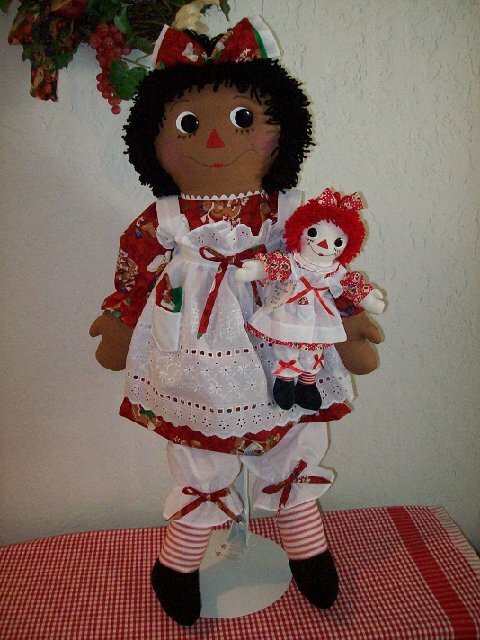 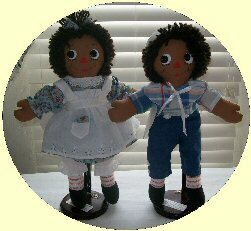 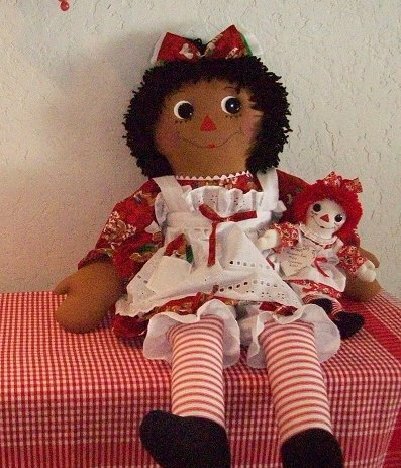 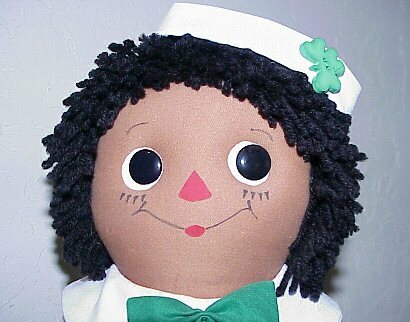 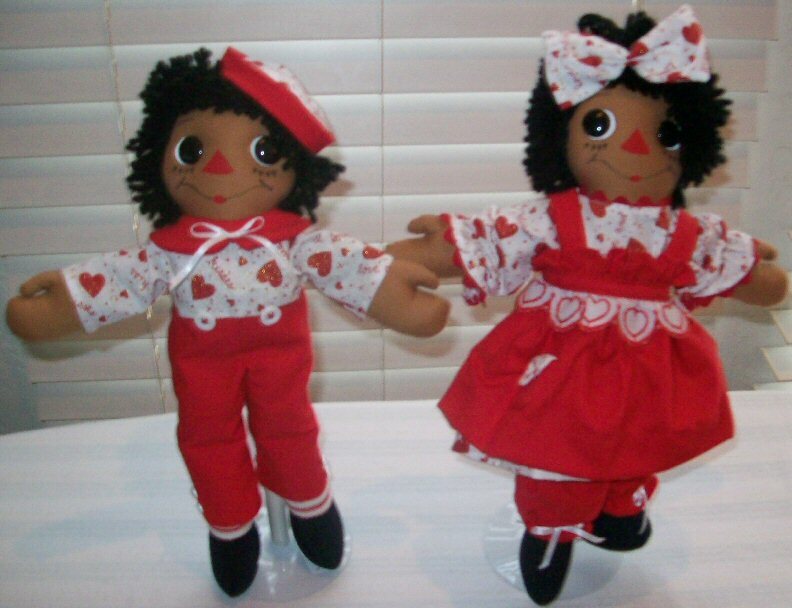 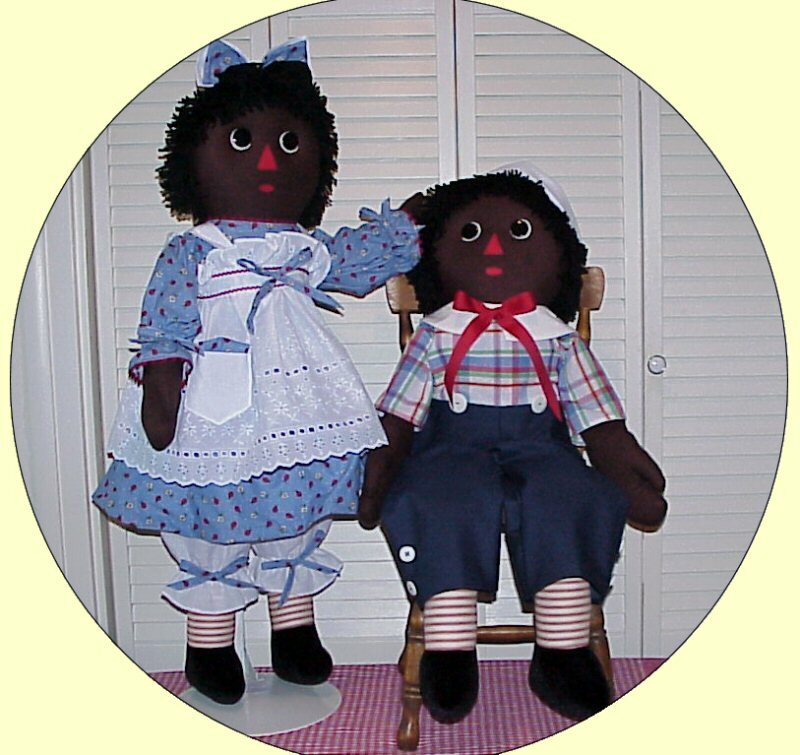 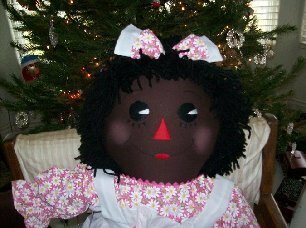 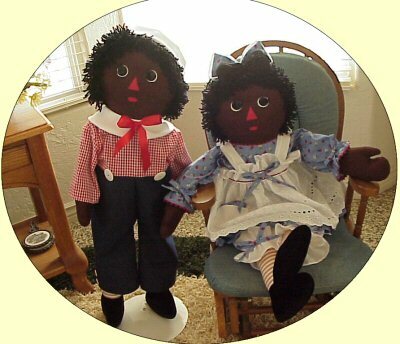 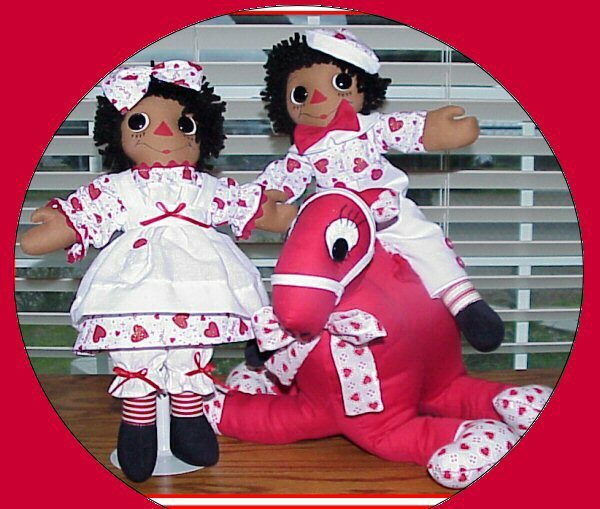 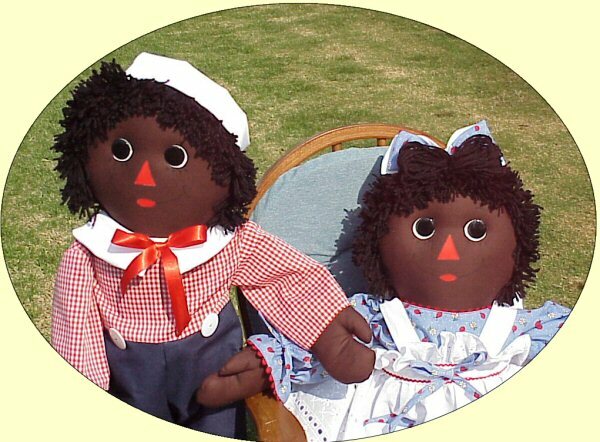 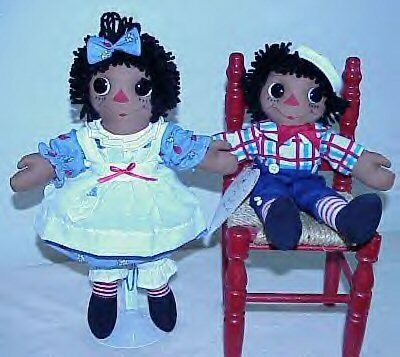 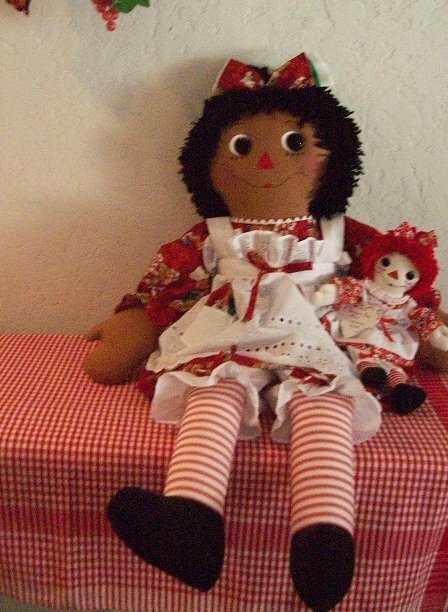 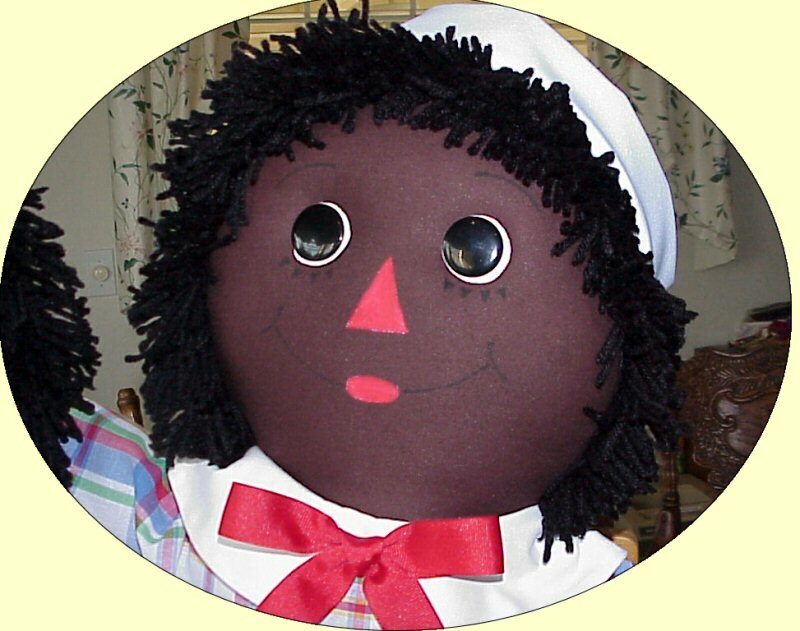 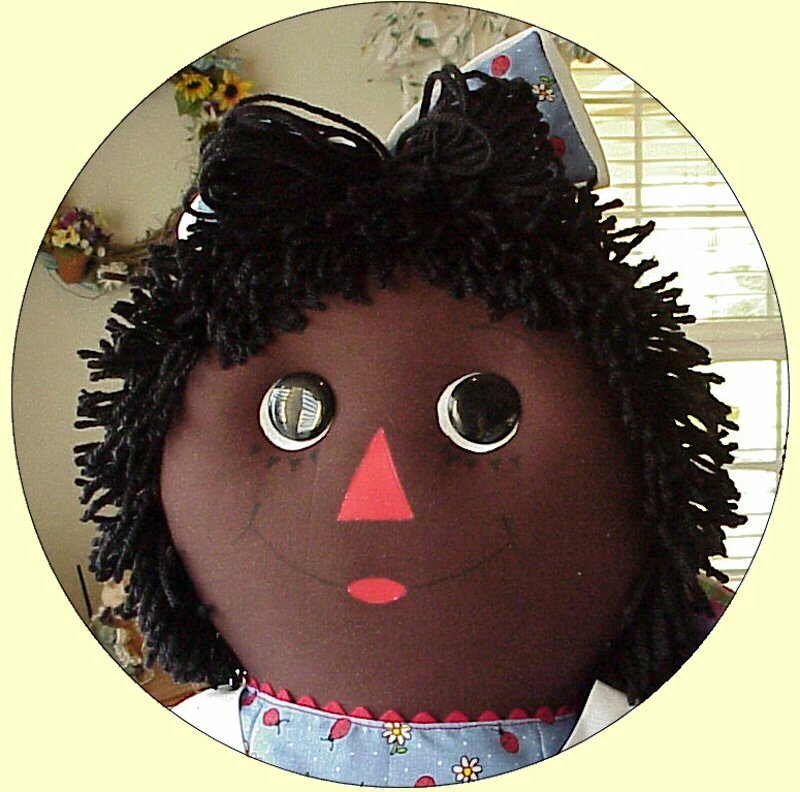 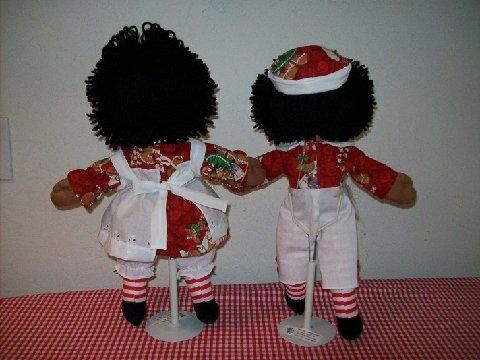 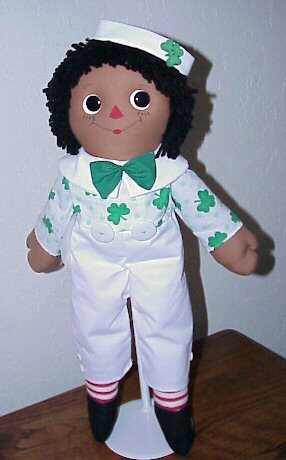 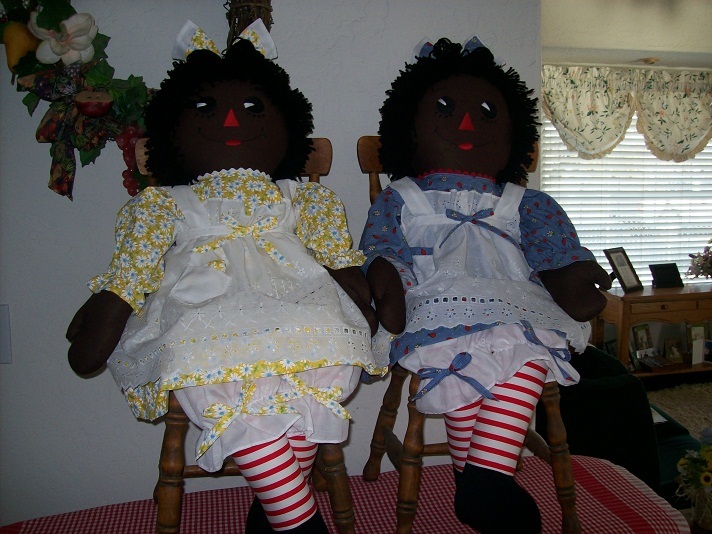 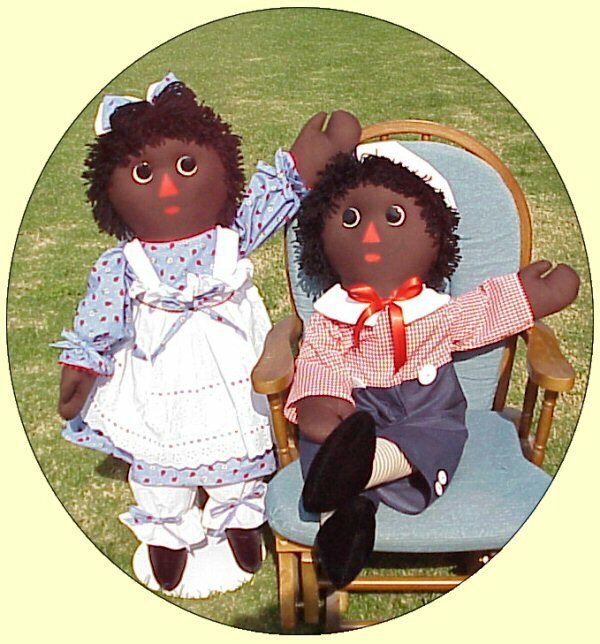 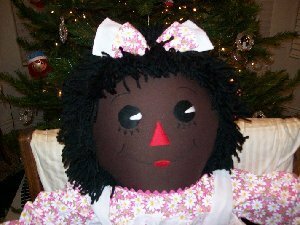 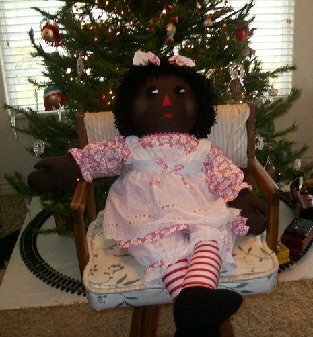 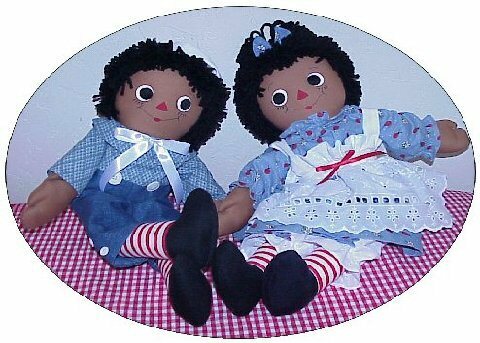 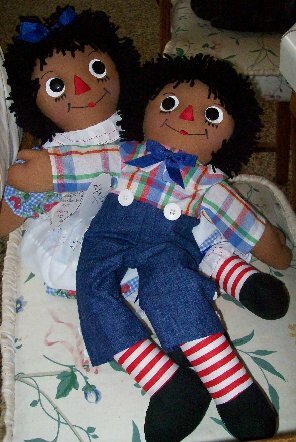 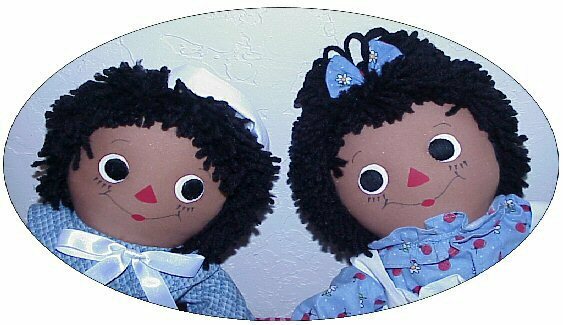 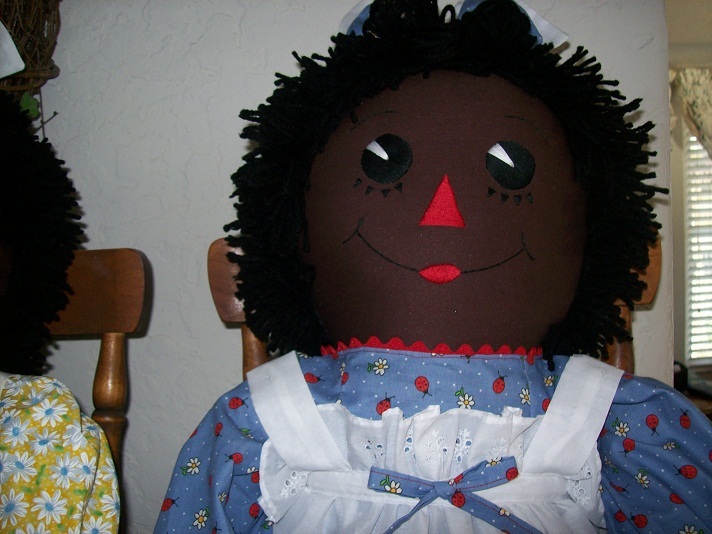 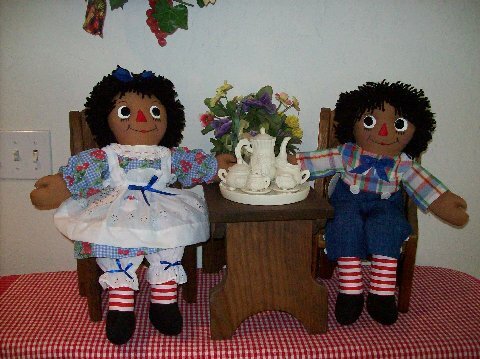 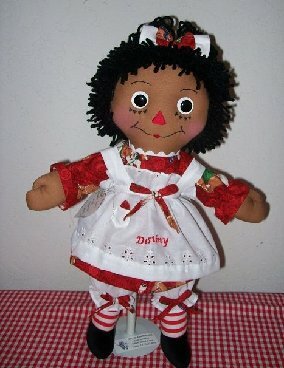 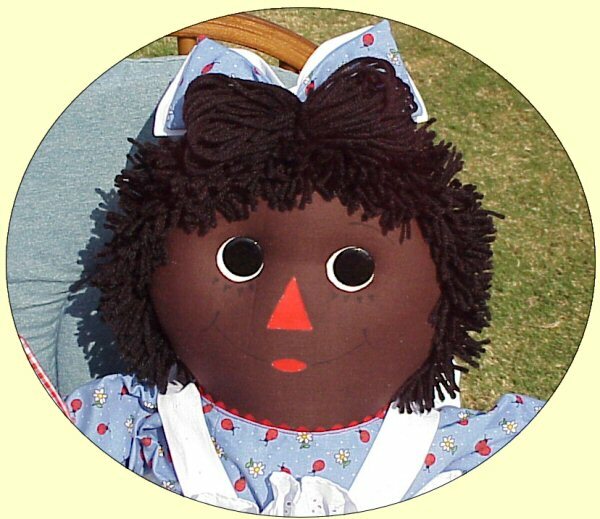 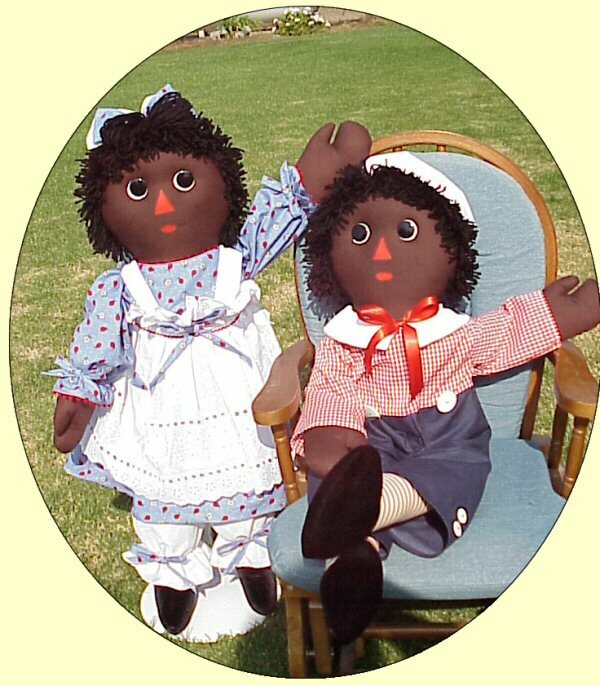 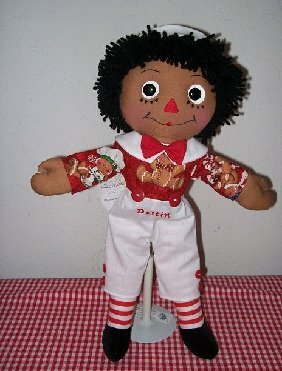 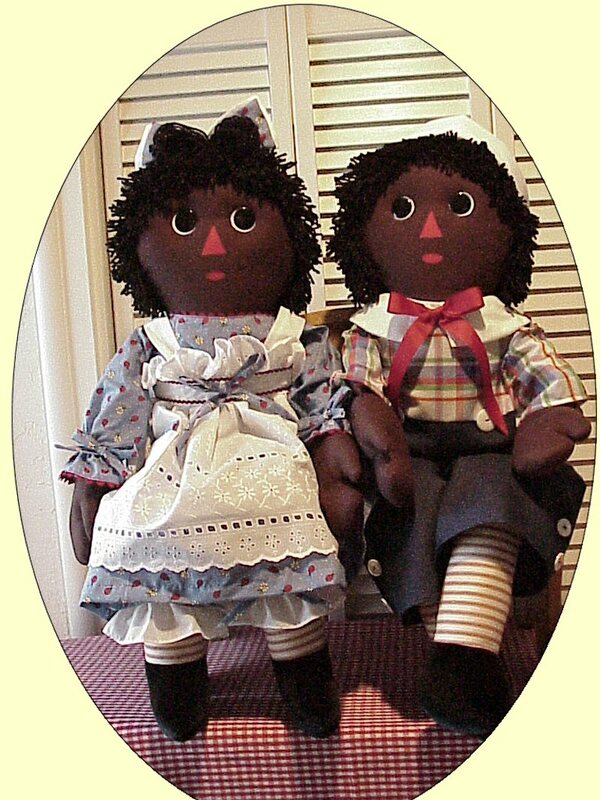 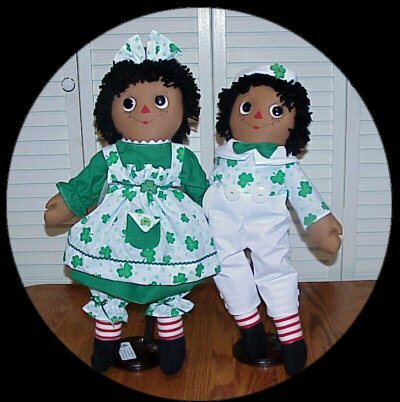 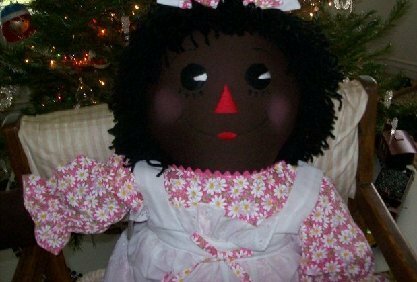 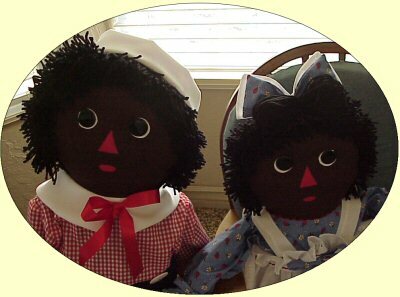 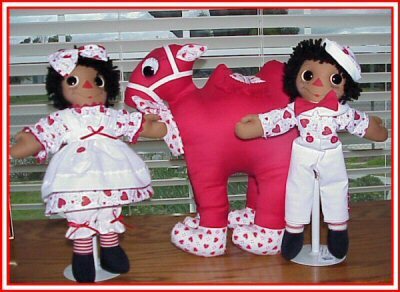 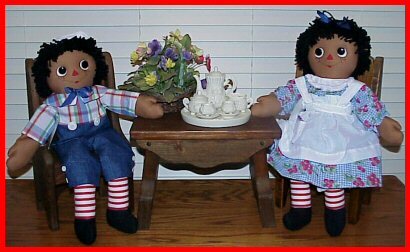 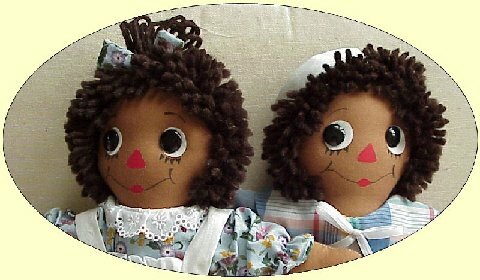 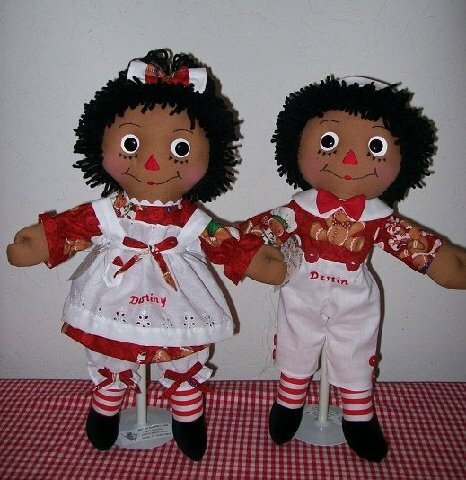 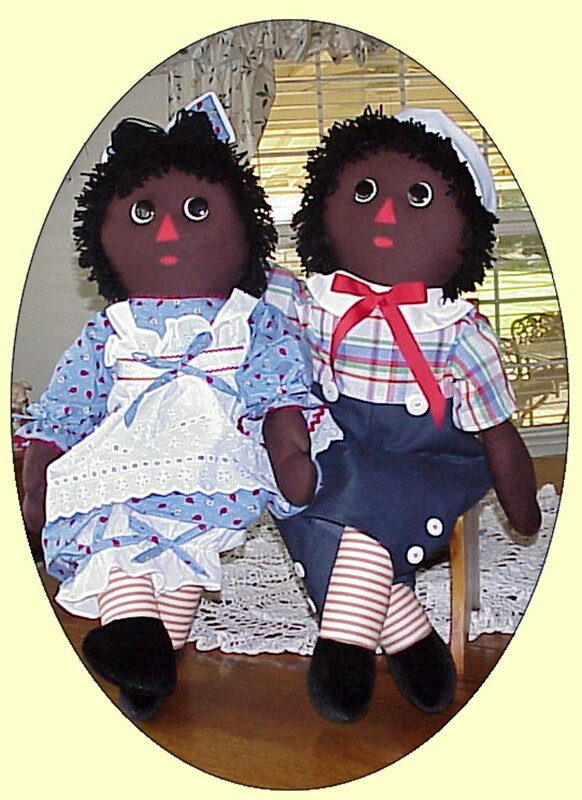 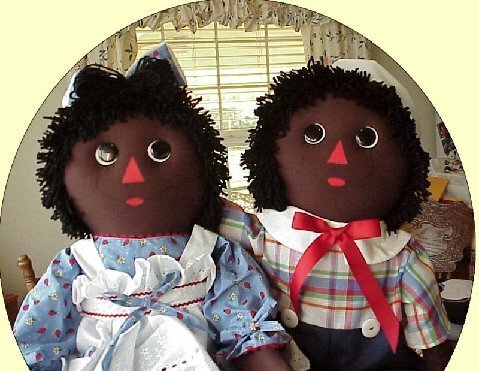 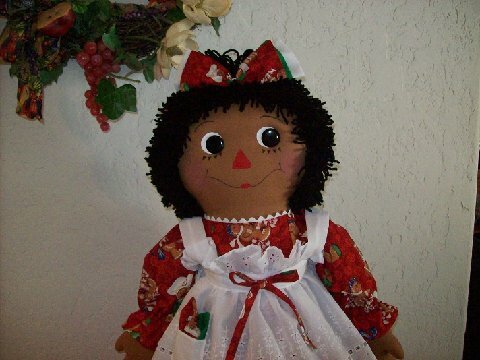 To Choose YOUR Very Own "SPECIAL"
" ETHNIC RAGGEDY ANN & ANDY "
These 15" RAggedy Ann & Andy dolls have been "Personalized"